A 2.25 x 2.5 music themed shaped magnet can aid musicians, music producers and music instrument manufacturers. This magnet can be easily customized with business information against a payment $0.16-$o.64 depending on the quantity of the order placed. Advertisers seeking it in bulk can cut down their advertising fees by seeking discounts on customization fee and overall charges. 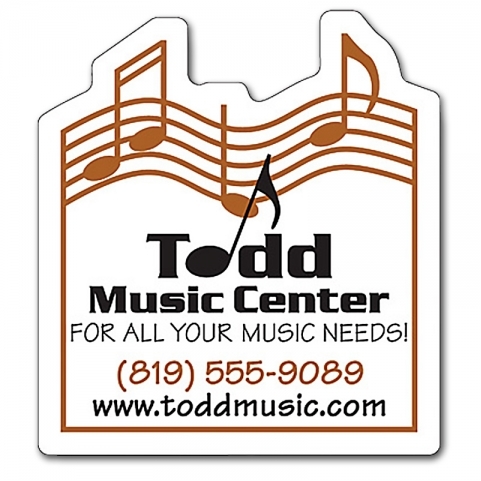 This music themed shape magnet can grab the viewer’s attention from long distances. Product Size : 2.25 in. x 2.50 in.